I’m on a one week win streak with my predictions. Scary accurate (kind of). Looking to make a big push, so need a big week here. With the Thursday game in the rear-view, we now face down the barrel of a 4 week stretch with 3 prime-time games which kind of stinks. I prefer some normalcy in my football season, but I can’t blame them for showcasing this game. Pats vs. Chiefs is a huge draw with serious playoff implications. If the Jaguars was a measuring stick type game…this is….another type of measuring stick game. Chiefs are a weird one for me. They always seem like they are a second tier team that starts hot and maybe limps into the playoffs for a one and done. They are a good team, but just not able to get over the hump to where I lose sleep over them. I thought things were starting to change after they whooped us in the season opener last year….but then they basically turned into a pumpkin down the stretch. On offense, Patrick Mahomes is lighting the world on fire. Everyone is saying he is the bomb. He is obviously putting up numbers, but I’m not so quick to jump on the bandwagon. Let’s see him do it for 16 games first. Everyone wanted to crown RG3 and Kaepernick in their rookie seasons, and neither panned out. Once teams get some tape on a young QB, they can make life tough on him. Otherwise Tyreke Hill is a threat to break it on any play and Travis Kelce is one of the top guys in the business. If not taken care of, he gives the Pats a ton of trouble. Kareem Hunt is doing the damn thing too, so its no surprise that offense has put up some points. The Chiefs defense kinda stinks though right?. Their pass defense is particularly stinky. I think this one has the makings of a shoot-out. 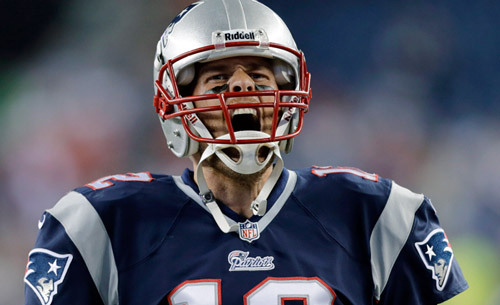 Prediction: Patriots score on first possession – I think this is going to be a shootout and this is a tough prediction. However, I don’t make easy ones. Pats are gonna come right out the shoot and want to make a statement and I think they do just that. Prediction: Kelce gets shut down – After Eric Ebron looked like a Hall of Famer, I think the Pats choose to not let Kelce beat them. He will get jammed and doubled a lot. Let’s say under 76 yards and no tuddy for me to be right. I think the Pats would take that all day. Prediction: Both Quarterbacks go over 300 yards – Like I said, I think this will get pretty wild. Prediction: Pats Win 38-30– I like that the Pats are home and most really big games they show up for. I think they take Kelce out of the game and force the Chiefs to beat them elsewhere. Tom Brady moves the ball all day long on a bad pass defense, and the AFC gets way more interesting.